One of my co-workers had a special deliver on New Years Eve–a Baby Boy!!! Congratulations Lindsey and Travis!!! 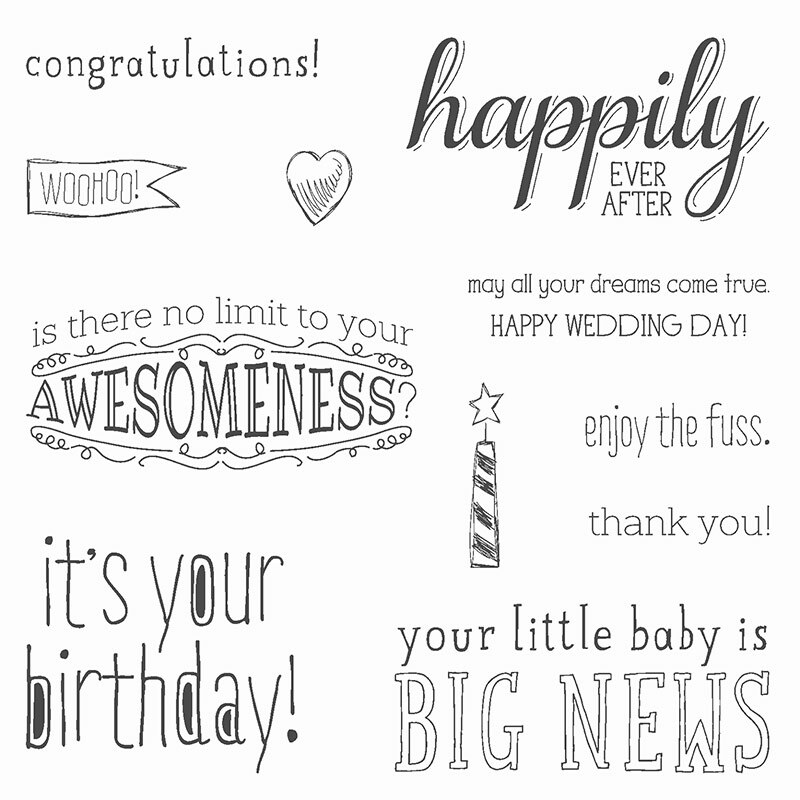 I used NEW “Best Year Ever” Sale-a-Bration Designer Series Paper (available January 6th!) and the Big News stamp set. The Coastal Cabana and Smoky Slate card stock are a perfect match, and the ribbon is a piece of Whisper White 5/8″ Satin, accented with a strip of coordinating Beach House Washi Tape–super easy and I thought it added the finishing touch! Wishing you a GREAT start to the New Year! 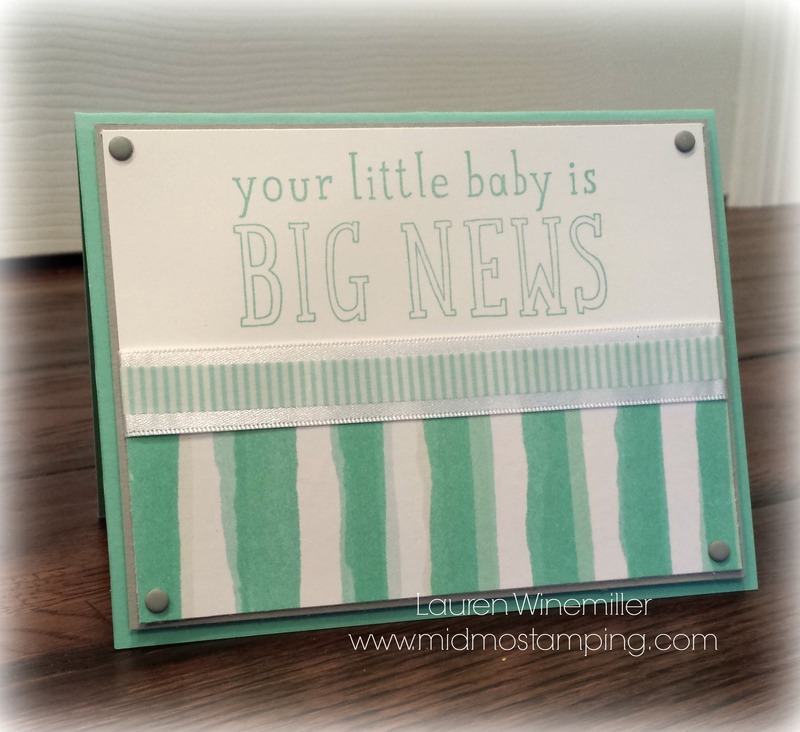 Have a Fabulous Day and Happy Stamping!